French Classics At Affordable Prices! Home Food & Entertainment French Classics At Affordable Prices! Le Bistro has always been my favorite French Restaurant in town from the very beginning. This means I always follow their news and this time the news is that the Chef has changed the menu completely. 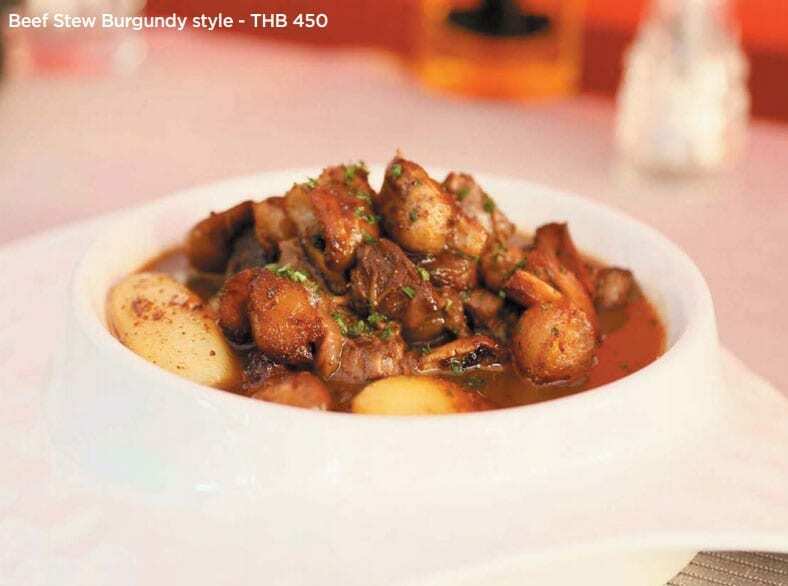 Chef Benjamin Lefevre has been in Hua Hin less than a year and he decided to bring a fresh breath into this Restaurant and highlight their name “Le Bistro”. The concept of the new menu is French Classics from the different regions of France at affordable prices. Chef recommendations: “Salade Landaise” with foi gras terrine, shallot chutney, smoked duck breast and confit. A southwestern dish looking like a drawing on the plate and tasting even better. “Escargots”- snails tossed in garlic, parsley and butter with mashed potato flavored with truffle oil foam.